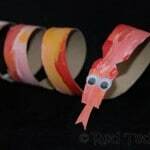 2-3 years ago, I was at a craft fair and saw some simple Chinese New Year craft colouring sets – one was one of the paper dragon puppets. 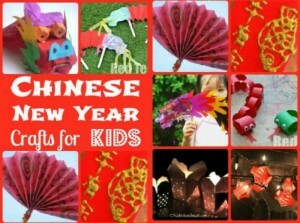 I thought “I could make one of those” and create a Chinese New Year Printable for you. 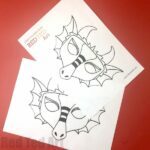 Only 3 years later, I have finally gotten around to drawing my own free DIY Dragon Puppet printable for you. 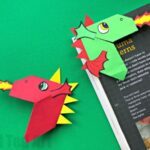 Of course you can design your own paper dragon, but if you don’t have the time or have a large amount of children to work with (I am hoping to do these with Red Ted’s class again), then these are perfect for you! 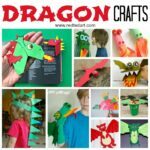 We made them on a play date – 5 kids – and they all loved making these fabulous Dragon Paper Puppets!! The two younger one’s lost a little colouring patience, but they still love their dragons. And to be honest, I think you can leave them “uncoloured too” – or print out the free printable of coloured paper (e.g. red paper) and stick things on? 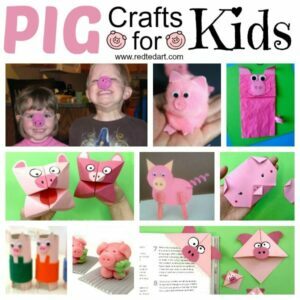 2019 is the YEAR OF THE PIG.. we also have a wonderful set of Kids Pig Crafts (the Pig Origami is particularly popular!). 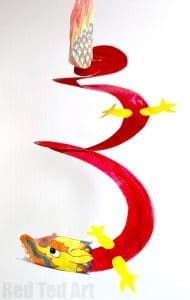 We have a How to make a Paper Dragon Step By Step video or read the instructions below! To get your kids excited about the project either make one first or show them photos of the finished product (e.g. 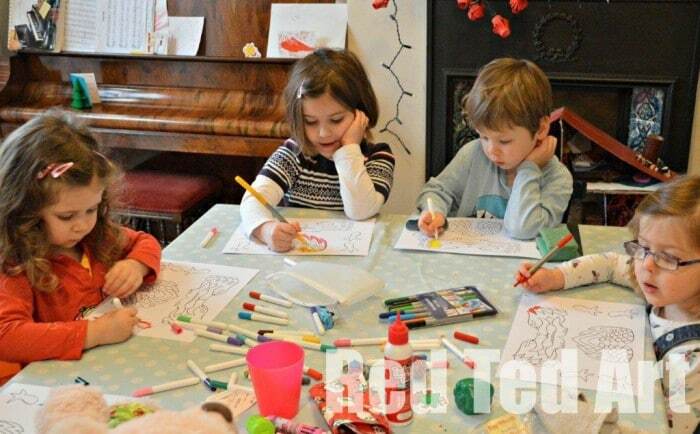 this post) – when they see what they will make the colouring in sheet makes “much more sense”. UPDATE: We had a go at these in Red Ted’s class room and changed the “Order” of the craft a little: First we cut, then we folded, then we assembled and finally coloured. So that each child could “finish their dragon”, even if they got bored of colouring. We also taped on the Popsicle sticks, so that we didn’t have to wait for that it to dry. The kids were brilliant and did an amazing job! 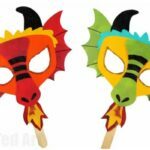 1) Print out your dragon printable for Chinse New Year – there is a double sided head, to fold later and a double side tail part. 4 feet – so that you can stick them together and that your dragon looks great from both sides. * print on coloured paper and use glitter glue or stickers. 3) Once they are finished colouring, cut out the shapes. The mums did it on this occassion, but again, I think, if this was in the class room, they can do it themselves. Of course it won’t be as neat, but I think it will look lovely anyway. When you have cut the head out fold it over by the mouth and then you can cut out the “mouth space”, so you can some tissue paper fire. 4) We used a sheet of A4 paper cut into three equal strips – each strip was for one body. And folded it “concertina style”. I was impressed at how well the children managed with instructions (fold, turn over, fold, turn over, fold…). Red Ted wanted an extra long dragon, so we glued two of these strips together before folding. 5) Glue your head, tail, feet and lollipop sticks to your body. 6) Cut some tissue paper to add fire (optional of course). Enjoy! 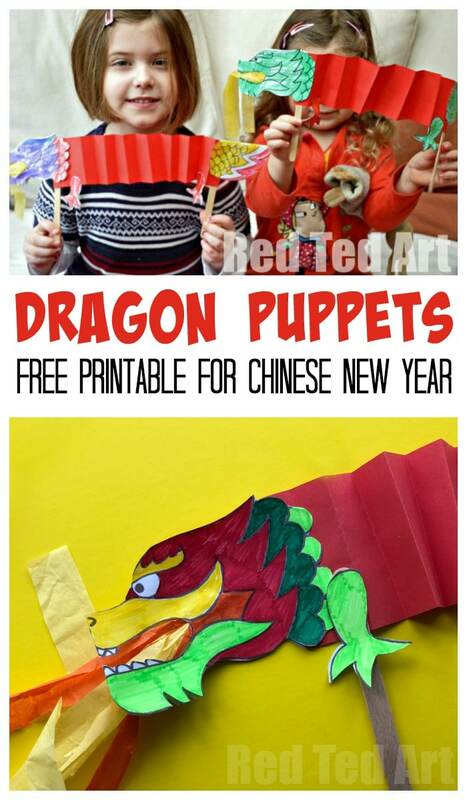 Hope you liked our Chinese New Year Printable and that you have a go at making these fun and easy DIY Dragon Puppets!! 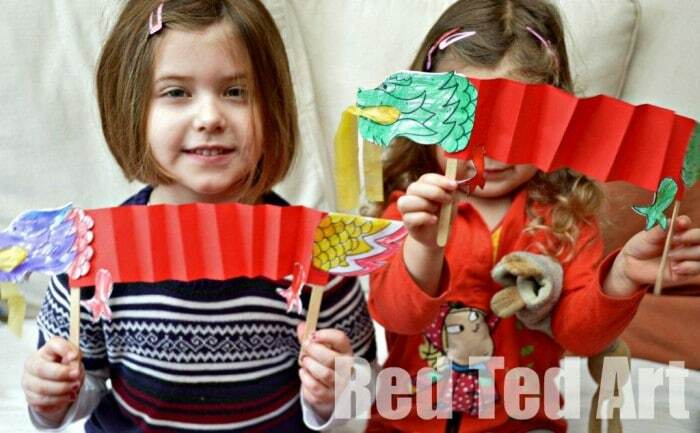 We noticed that if you hold the two lollipop sticks at right angles in one hand, the dragon makes a nice fan too! Your dragon looks just right for my kids. They’ll have such fun with this one for sure…but I can’t find a link for the template. LOVE this! 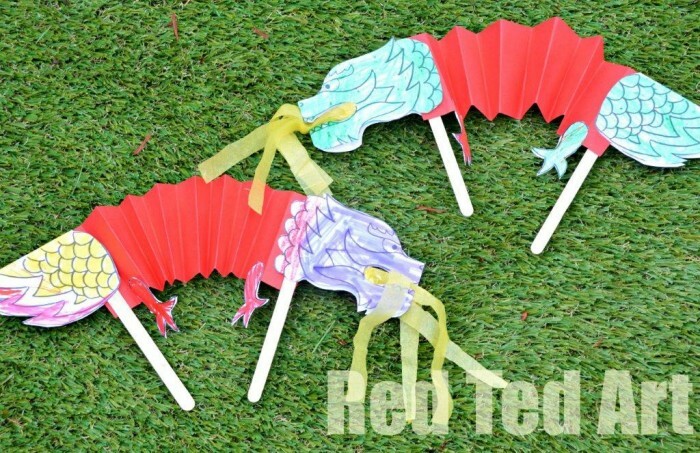 I am looking for a Chinese New Year craft for middle school Chinese New Year school party. I think this is it!! Thank you! Lovely idea. I think Aarya would love doing this. Thank you for the idea. Ooh that is perfect! So pleased! Martine – the printable is up now, I am sorry, I managed to not add it properly the first time round! super les activités!! bravo les enfants! Thanks Cerys! Was impressed at how well the kids managed the bodies! What a brilliant, simple craft. Thanks for sharing and hosting! Lovely idea and thanks for the printable! My pleasure Roopa! Do hope you have a go. Yes, or those that like colouring! I haven’t photographed Red Ted’s dragon here – it is MUCH more detailed than the ones above! He took hours over it. What a fun idea for a large group…my boys would love making these! You are invited to join my new weekly link-up “Say it Two Ways Thursdays”! I would love for you to link up activities like this that teach your child about other languages and cultures. Link up at toddlefast.blogspot.com/2013/01/link-up-say-it-two-ways-thursdays. Those are so neat! 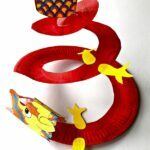 We’ve never made anything for Chinese New Year, but I think my 4 year old would love this. Thank you for letting me know! I have fixed the problem and you can download it again! Happy Crafting! Thanks for your great Dragon. We used glitter glue to paint ours. I’ve added it to my blog Painting with glitter glue with links hope that is ok. Thanks again for all your great ideas. Sorry it won’t let me add a link. Love your site! And love this idea. 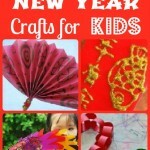 Darling craft for Chinese New Year! 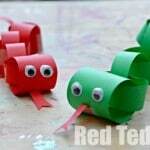 Great craft for my Preschoolers! Looking forward to doing this! Maggy, my 8-year-old autistic Grandson simply loved the dragon and he made it all by himself, his 3-year-old sister had a go too and she made hers glittery and pink. The dragons are believed to possess qualities that include great power, dignity, fertility, wisdom, and auspiciousness. Nice blog Maggy. And your blog made it easy for kids fun and creativity. Now that you’ve required me to sign up for your newletter to get the “free printable”, where is the link for the pdf???? Hello, it is under the box where you signed up? What size lollipop craft sticks do you use? I see quite a number of different sizes and would like to know what size you would recommend based on the dimensions you have for the printables. Thank you! Hello! I like to encourage people to use what they have already – but I guess ours are around 15cm Long? Thank you so much! Also, did you use construction paper for the red body or cardstock? No, I used printer quality paper.. so thinner paper is good. But construction paper should be fine. Click on the big red button and download?